Last week on Called to Coach we hosted Larry Broughton of Broughton Hotels. During his time as a Green Beret in the U.S. Army, Larry learned that members of a team can be incredibly powerful when they are put in positions to do what they do best. It wasn’t until he entered the hotel industry, however, that he became familiar with strengths-based development. Larry discussed the detrimental effect that disliking a job can have on one’s emotional state and personal life. He says that managers need to know their employees’ strengths in order to place them in the right roles. For example, he explained that someone with Woo should be out talking to people and making sales instead of sitting behind a computer all day. On the other hand, someone with high Strategic Thinking themes like Analytical and Context should be working with numbers. When the right people are aligned with the right jobs, managers will see a noticeable improvement in employee morale and output. An important step to success is to always be doing something you’re good at or passionate about. Everything else should be deleted from your task list, delegated to someone else who is great at that particular task, or deferred until another day. Larry calls these “the three Ds” that are critical to success and happiness. To hear more about Larry and his coaching expertise, watch a replay of the video above. Register now for the next Called to Coach on Friday, March 21, at 1 p.m. EDT. We will host Gallup’s Senior Scientists Jim Harter and Jim Asplund. Join us for the first ever Theme Thursday, scheduled for tomorrow, March 13, at 1 p.m. EDT. Register today to hear Gallup’s Curt Liesveld and special guest Tyler McCarty discuss what makes the Activator theme special. Keep the coaching conversation going at the Called to Coach Facebook page. It’s a great way to network with others who are passionate about strengths. 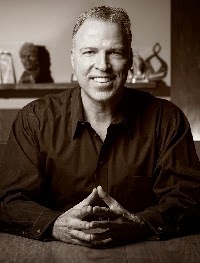 Larry is the founder and CEO of Broughton Hotels, one of the leading boutique hotel chains in the world. He is an award-winning entrepreneur and co-founder and CEO of Broughton Advisory, a strategic vision, elite team building, and transformational leadership training company.